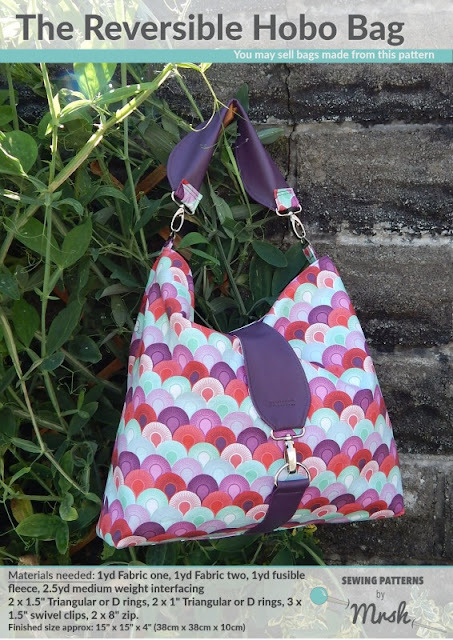 July is Reversible Hobo Bag Month! All month the Hobo bag pattern is discounted in my store! The sew along will start on Sunday 10th July, so start getting your supplies together! 2 x 1.5" Triangular or D rings, 2 x 1" Triangular or D rings, 3 x 1.5" swivel clips, 2 x 8" zip. If you are wanting to do an overlay in faux leather you will need two panels of faux leather cut 20" by 5"
I can't wait to see what you all make!